Uuuuuuuum, so there it is: West continues his tradition of making decisions via social media. 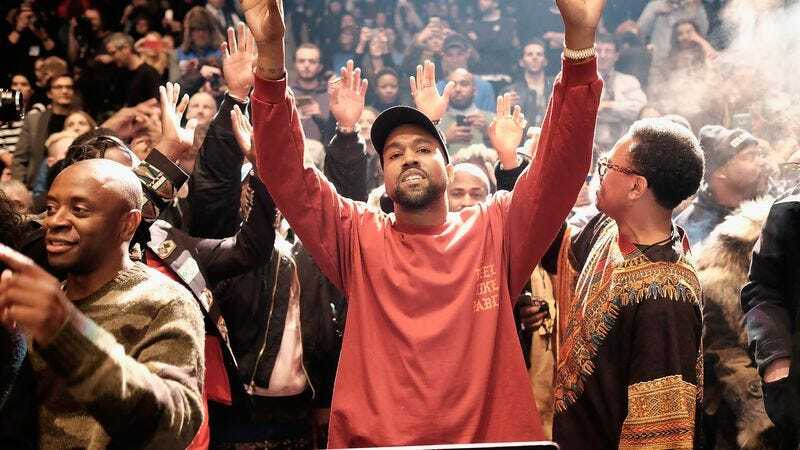 His new album, The Life Of Pablo, now looks like it was not just a test case for an incredibly frustrating method of releasing a new album, but rather a hint of the weird, digital-only things to come from the artist. While West didn’t take the opportunity to say anything about whether he would also be encouraging others to talk him out of the kind of spontaneous, free-associative decision-making that constitutes his identity going forward, he quickly corrected that oversight approximately seven minutes later. So, that’s all cleared up, then.